Dakri Cartons Ltd: making carton products with a passion since 1988! 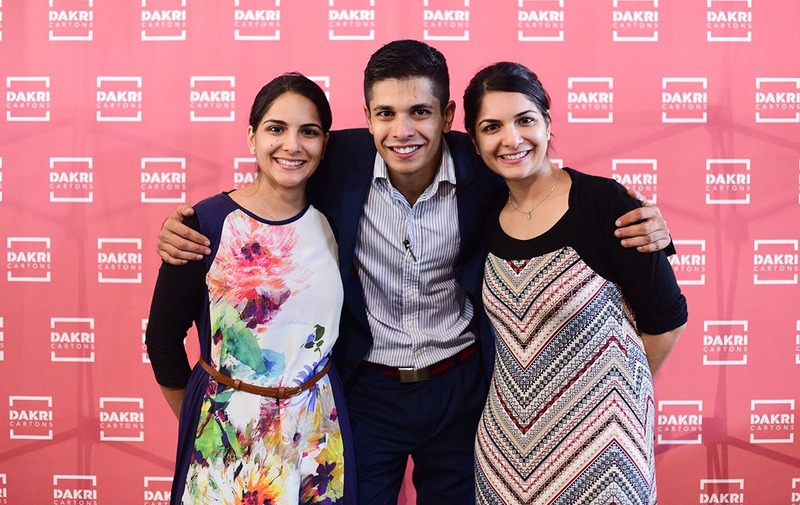 In 1988, Hanif Dakri bought a first factory in Rose Hill, Mauritius, and founded what has today become Dakri Cartons Ltd. He is the son of an Indian businessman that was established in Malawi before moving to the UK, and subsequently to Mauritius in the 60s. Hanif Dakri started his business enterprise in textile, and later decided to shift activities towards the manufacturing of carton boxes, an essential support product of the textile industry. By imposing his business model on the industry, Hanif Dakri bought out his competitor and built a first carton production plant in Bambou in 1996. That is when the company was named Dakri Paper and Products Ltd. Through years of dedication and work, the factory placed itself in second position on the local market. Mr Dakri’s 4 children, Sabina, Nazir, Aysha and Somaya, joined the company progressively after their studies. After moving to Petite Rivière, the company was renamed Dakri Cartons Ltd. This corrugated carton manufacturing plant at the forefront of its industry in the Mauritian market and wants to continue progressing. Indeed, the CEO wants to expand Dakri Cartons Ltd’s services throughout the Indian Ocean region. Exports to Reunion Island have begun since 2010, and Dakri Cartons Ltd presently ships 3 containers of product to the latter island weekly. In 2018, the family business celebrates 30 years of service. Dakri Cartons Ltd has become an organised structure of 130 employees. It serves the local market as well as the Indian Ocean region. 30 years of experience and therefore of expertise in the field of corrugated cardboard products, 30 years of collaboration with its customers and suppliers, 30 years of perennial activity that are a pledge of confidence for the prospects and new customers. Dakri Cartons Ltd has evolved into a full-fledged production factory. It is equipped with a corrugator, which enables it to manufacture its own raw material: corrugated board. The factory is also equipped with 4 conversion lines, which create boxes or trays, printed and glued or stapled. The new Research and Development (R&D) department optimises productivity and turnaround time. It also works to improve the quality of products. All of this while maintaining the best prices. The R&D department includes a printing team formed by international experts and equipped with recent technologies. These 30 years of expertise reinforce the new slogan promoted by the company “Excellence in a Box”, imposing more than ever its motto: quality.